Historically our assessment scales are used to quantify broader concepts, but Rob Fords complete inability to order the magnitude of his respective transgressions has created an imminent public need for my services. 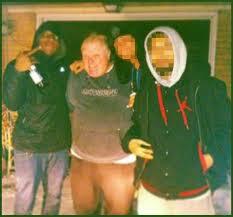 I should mention upfront Rob Ford is possibly not guilty of all of these, but it is important to establish a baseline. 12. Smuggling covert walrus advisor about town beneath ill-fitting jacket. +1 if Plus 1 if indecisive about needed amount of time.